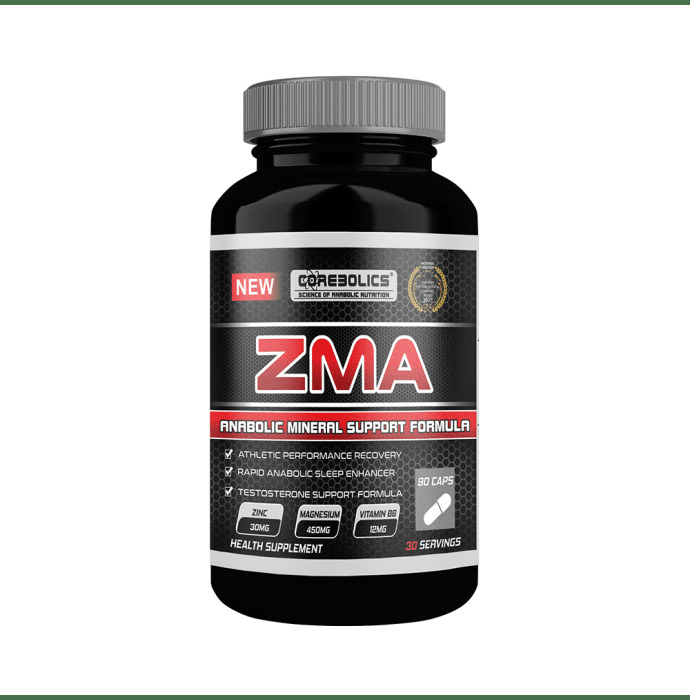 Corebolics ZMA Capsules is a unique combination of zinc and magnesium that provides number of benefits to the body and helps in its functionality. Magnnesium contributes to electrolyte balance and helps in the maintenance of bones and teeth and the functioning of the nervous system. It normalizes the protein synthesis and psychological function and reduces the feeling of tiredness and fatigue. Take 3 capsules a day for men or 2 capsules a day for women,30-60min prior to bed time. For Best results take on empty stomach or avoid taking food and supplements with food and supplements containing calcium. A-3 GEETANJALI ENCLAVE NEW DELHI New Delhi DL 110017 IN , - , .